Designed to meet the needs of those responsible for providing CASE training for schools and local authorities. 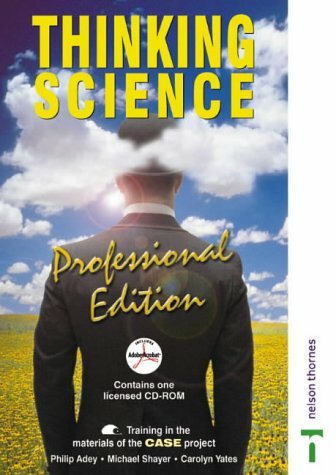 Containing all of the original Thinking Science materials, the Professional Edition CD-ROM also includes a substantial volume of additional INSET-style resources. In this title, resources include video demonstrations of specific training techniques, maps of possible arrangements of INSET sessions as a guidance to INSET leaders, and exercises to help in analysis of curriculum objectives.